Founded in 2011 in Martin County, Anything Electrical Company (AEC) is a state certified, licensed, and insured electrical services provider. The company’s project capabilities include, but are not limited to residential, commercial, and industrial installations; fire alarm installations, UPS installations, site lighting, ballpark lighting, structured wiring, and high-security government projects. 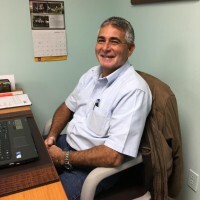 President Glenn Brown, a veteran, holds an Electrical Contractors license and, since 1976, has had a long and diversified career in the electrical and construction management fields. In February 2014, AEC sought assistance from the Florida Procurement Technical Assistance Center at Indian River State College regarding contracting opportunities with the federal government and earning certification as a Service-Disabled Veteran-Owned Small Business (SDVOSB). Scotty Wilson, a Procurement Specialist, worked with AEC to accomplish the necessary registrations and administrative requirements necessary to conduct business with the federal government. Upon completion of these requirements, Wilson began working with the company through the SDVOSB certification process through the VA Center for Verification and Evaluation. Wilson is a certified CVE counselor who works with veterans in preparing their packet for submission, a process requiring extensive preparation by the company seeking the certification. If successful, the company is then eligible for set aside contracts explicitly for veteran-owned businesses. In April 2015, AEC received notification that their submission was accepted and that they had earned SDVOSB certification. "Thanks to the assistance of the Florida PTAC at IRSC, AEC is now actively seeking veteran-owned business-specific set aside contracting opportunities with the federal government. "